Your stay at the Renaissance Hollywood Hotel & Spa begins in just a few days and we are preparing to give you the red carpet treatment! I appreciate your loyalty as a Silver Elite Marriott Rewards Member!…In anticipation of your arrival, I am thrilled to offer a specialized registration process designed just for you. Between 3pm and 7pm, your Elite Loyalty Ambassador will be in lobby to assist you. We will have your guest room keys prepared for you according to your preferences. Your Ambassador will be available for any additional needs or requests you may have upon arrival and throughout your stay. Please feel free to email me any special needs or requests and your anticipated arrival time. …I appreciate your loyalty to Marriott and look forward to your arrival! I’m a sucker for stuff like that. I always write back, and make my usual requests for a fridge and lots of extra towels (which I take to yoga rather than renting theirs). They always come through. And even though I know it’s illogical, they always seem to recognize me the minute I walk in. I’m not surprised I recognize some of them, but really? The idea that they would remember me is crazy…but I still let myself think it. I’m the walking poster child for good customer service and loyalty programs. They could hire me to tell all my friends about how much I really like their hotel (even though I do that for free). So, after the drama of packing and the hell that is air travel, I will arrive at the Renaissance and be greeted by my “Elite Loyalty Ambassador”, and I’ll feel right at home. Except, of course, I’m not taking the cats. I live in New York. Upstate Manhattan, actually. Since before it was cool and they began writing musicals about my nabe… And I travel a lot, both for work and for fun. When I travel, I always take slippers. One of my sisters recently laughed at this habit, even though she also travels…a lot. Well, you’ve stayed in hotels. You know that while you see those vacuums in the hall, you never see the hall being vacuumed. It’s the same theory that reminds you to take off that old quilted bedcover before climbing into your hotel bed. Traveling as much as I do is both a joy and a chore. 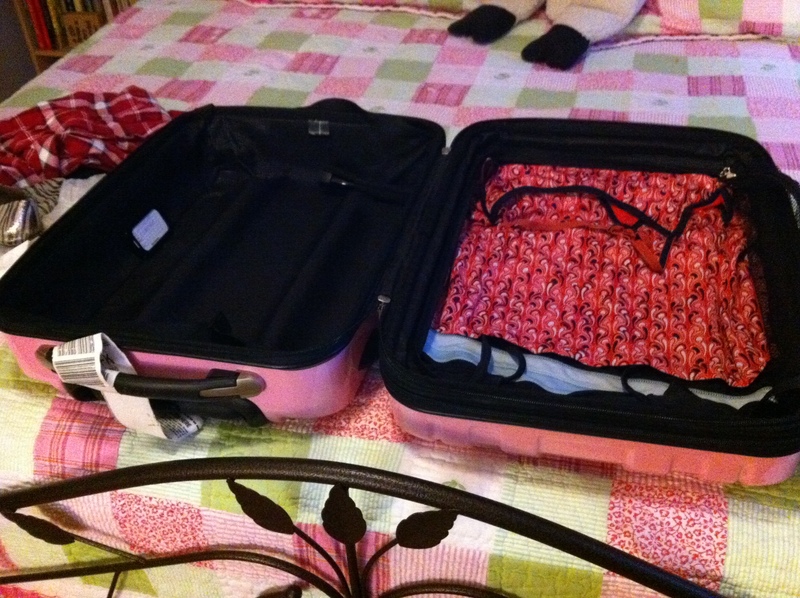 Obviously, there’s the packing thing, which I do in two ways. The first is a lengthy process, involving taking many outfits out, trying them all on, and planning each ensemble. The second is “day of” panic packing, which is becoming the trend as I travel even more. The panic packing seems to suit the person I am right now, while the planned packing was mostly a reflection of my (continued) fear of flying. After the packing thing, there is the pet care thing, the leaving a clean apartment thing, and worst of all… the airport thing. Each trip becomes a time capsule of its particular experience. I’m not even sure what that means, or why it happens, just that it does. So tonight, as I shared wine, cheese and mixed nuts with a dear friend, and after some weeks of having my life dissected with disapproval, I decided to tell my story. 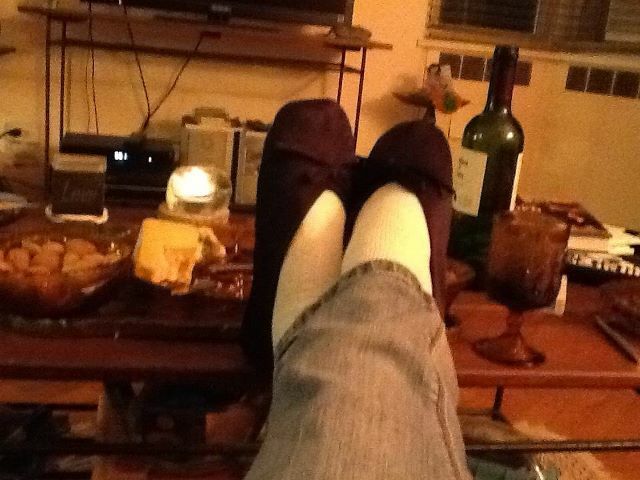 I have yet to find the book, blog, or column that acknowledges the existence of a woman like me (and Candace Bushnell, you got it wrong), so please join me as I pontificate, ramble, whine, celebrate, and of course, travel with slippers.